This topic contains 21 replies, has 6 voices, and was last updated by Lance 1 year, 9 months ago. Good save by that guy considering the circumstances, Lance. I’m rather surprised that charging German’s grenade didn’t just end the game in that moment (charged you with a sniper rifle no less…). This challenge seems good for the marksman, and probably the gunner too. All that’s left would be a scout to really have your snipers shine. Might find this one interesting and a bit hilarious at the same time. I went out of my way to make a super french resistance solider. Sounds impossible until you get him to max rank and the random weapons gives you a MG. The other frenchy managed to get an MP44 and performed quite well. As my max support died I was able to push another two sectors before halting thanks to the role being filled. What you inserted into the img link tag is not the image direct link. It is this one with the type of image code png removed from the end so that it does not show the pic but this code. http://i.imgur.com/nH3mVfK. You can also simply copy paste the imgur direct image link without using the img tag and the site will automatically display it. Here another lone survivors tale. Cut/ Skipped the first 10 min since they where not so interesting. If you’re ever gonna have a hero dash run at the end, a commando is the guy to do it with for sure. Without that invis skill, that run in with the HMG would’ve turned out quite differently. Interesting to see how the HMG prioritizes/chooses targets. I’m gonna assume it’s proximity based, but perhaps also whoever last moved too. What a great fight Lance.. I loved the hail Mary dash at the end. A true hero was born today fighting the krauts. Mr Kilbuck, watched his fellow men get slaughtered right out of the gates. Yet he never routed, he held his ground in the trench with his machine gun blasting away at the Germans. With his friends routing straight back into kraut land who by this point had broken the line only to get picked off one by one. He stood firm and started to rack up kills. After having a truckload of Germans killed by his machine gun, he started the long and lonely road to victory. He proceeded to traverse 75% of the map by himself killing all Germans that stood in his way. A hero was born this day. Nice work there with the hero gunner @vgmaster78. This next hero was more of pure luck then anything else. You also never seen one like this before. 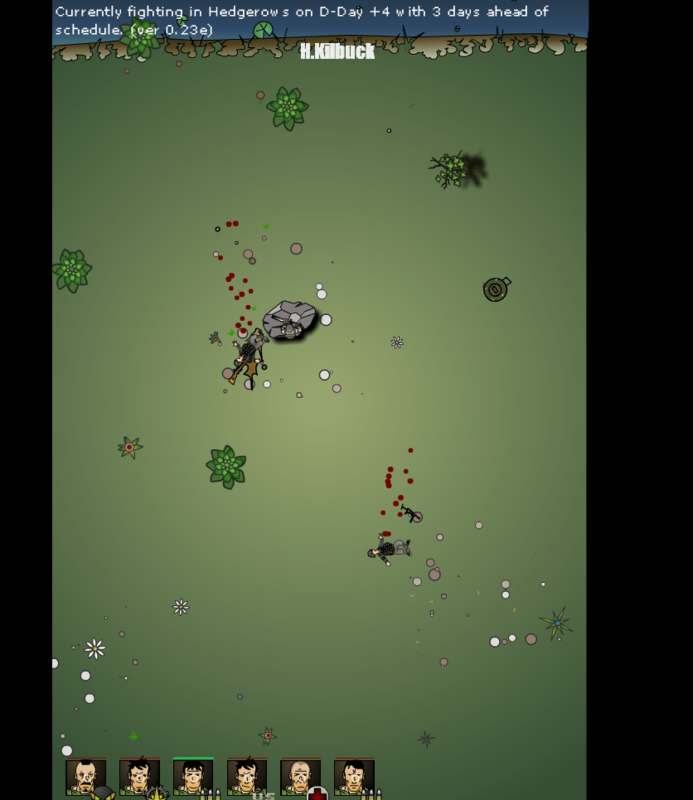 Initially a Test game for the effectiveness of the Pistol in urban areas. It is a bit long and not from the very start (missing some 5 min) but all the important stuff is to see. Please give feedback on your evaluation of the Pistol in MNB3 as seen in this video.